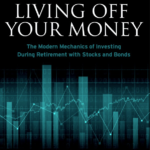 A US researcher called Wade Pfau has been wading through the weeds of retirement investing for the past several years. I’ve featured his work here many times. An article in Financial Planning this week is perhaps the most accessible summary yet of his findings. I’d say Wade’s biggest contribution has been to unmask the 4% withdrawal rate “rule” as an accident of history that was never meant to carry the hopes of every last wrinkly American on its shoulders. And if the 4%-rule was adopted unthinkingly in the US, its importation into the UK was even more anomalous. After all, the initial data that alighted on 4% as being a safe withdrawal rate was always US-derived. Yet many UK writers and bulletin board pundits have put forward the 4% rule as if it’s a third Law of Finance. Wade looks almost exclusively at the US market, but the article does include some international statistics – including a grim one for UK investors. New research shows that Americans retiring in 2015 need to be far more conservative in their withdrawal rates during retirement. The historic 4% annual withdrawal rate is over two times the level that Americans can safely withdraw without expecting to outlive their assets. The real safe withdrawal rate, accounting for fees and today’s stock and bond market levels, is under 2% per year. Now, I will say I’ve long been more optimistic about future returns than today’s low rates would imply – at least when it comes to equities. I also think the US valuation situation is more extreme than the UK one, and that UK investors will see higher returns than US investors from here. The US stock market looks expensive to me. The UK market? Not so much. Still, what do I know that the world’s collective investing dollars does not? The more important takeaway is that there was never any such thing as a Safe Withdrawal Rate. It was always going to depend on starting valuations, an unknowable future, and personal circumstances. So any such target withdrawal rate – high or low – is at best a rule of thumb. I tend to leave discussions about all this to my passive minded co-blogger, The Accumulator. That’s not just because he finds it much more fascinating than I do – and I have a low boredom threshold. It’s also because I am a clear oddity, whereas his path towards early retirement is a much more middle of the road affair. True, he’s ultra-frugal. More so than me. But I am a monomaniacal active investor who suggests other people invest passively for their own good. I don’t even really notice I’m saving 50% or more of my earnings, it’s just what I do. It just happens. It’s probably genetic, if not mildly aspergic. In addition, I plan to someday live off investment income and never spend my capital, which in some respects makes the Safe Withdrawal Rate irrelevant for me (or at least changes the frame of the problem). But very few people will be able to do this – at least not unless they’re born wealthy to start with. The maths and human psychology just doesn’t work for most. And if they don’t earn enough? Well, they don’t earn enough. Sorry. Life isn’t all ha ha ha, hee hee hee. In contrast, The Accumulator earns fairly well but hardly bulge bracket, lives simple but saves hard, fully intends to run down his capital, and bridles at talk of investing specifically for dividends and the like as specious active investing nonsense. And that world view is a much more sensible one for most people, because planning to spend your capital means you’ll need much less of it in the first place. Living off your capital implies an inefficient use of that capital, because your plan is basically to die with it still invested. If instead you spend your capital, you can retire earlier or you can have more slap-up dinners at Nandos once you do. If I were however planning to spend my capital, I’d do a few things. Firstly, I’d almost certainly plan to at some point buy an annuity with a portion of my pot. Creating a minimum income floor like this gives you some of the benefits of living off your capital, in exchange for effectively spending it and betting you’ll outlive your actuary’s best guess. The inflation-linking would be expensive, but I’d do it anyway. And yes, annuities look poor value right now. But I wouldn’t do this unless I had a fairly sizable pot to play with – that’s what I expect to have, and this is about what I’d do. Secondly, I’d investigate the various dynamic withdrawal strategies that have been put forward, including by Wade Pfau himself. Essentially these boil down to “spend less when your investments do poorly”. Seems like common sense to me, but perhaps it is best codified. Finally, I wouldn’t under-estimate the difficulty of actually spending your capital when you do pull the ripcord. I know myself well enough to understand I could probably never do this (or at least not until very late in the game), which is why it isn’t in my plan. But even pragmatic financial freedom seekers might be surprised how difficult spending money is. Would you like to make a withdrawal? It’s one thing to spend your money as a 65-year old who has simply flopped over the line at the end of the traditional 40-year rat race. But if you’re someone who has saved extra-hard all your life and retired early (or even, and better, if you’ve transitioned to an opt-in-and-out lifestyle where you make money when you want to, doing what you want to), then it’s going to be tough to start splashing the cash. If you don’t believe me, ask a real early retiree like Jim at SexHealthDeathMoney. The pain of cashing in investments just to live from month to month is almost physical. If you don’t empathize with Jim, then – unless you’re very lucky in business, the lottery, or with who you were born to – I doubt an early escape from the 9-5 is going to be a problem that concerns you. Investors shouldn’t need to crack the enigma code – T.E.B.I. Something most investors can’t accept – A.W.O.C.S. Product of the week: Santander has upped the monthly fee on its 1-2-3 account from £2 to £5. I’ll respond by being kicking myself up the backside and transferring over more of my more monthly bills to benefit from the cashback. If you’re already running a tighter ship or you’re wondering what else is out there, The Guardian’s latest survey of the alternatives finds 1-2-3 will still remain top for many people. But if you do fancy something new, check out the £100 cashback offer from Nationwide, as reported by ThisIsMoney. Book of the week: I had dinner with an old business friend in the week. Or rather he had dinner. Despite me explicitly warning ahead of time that I would definitely have eaten a meal I’d been slow-cooking before our three-hours-away rendezvous, he didn’t bother eating or more likely didn’t pay attention, took advantage of the blatantly gouging Steak Night in the gastropub we went to, ate most of the full works in front of me before asking the staff he’d already befriended for an extra knife and fork so I could try a bit as it was supposedly our “first date” and generally made a racket. In all this and other stuff he was, as always, charming and infuriating at the same time. I wish we’d had the new business book The Genius of Opposites when we’d started our company more than a decade ago. It might have gone better. Then again we’d presumably also have had a time machine, so all bets would have been off. Great post and one that aligns with what I’ve been going on about for some time now. Many bloggers and commentators spout the 4% Rule without the slightest comment on what sits behind the data. At best that’s naive and at worst irresponsible IMHO, particularly for those writing from a UK perspective. – Adopt a withdrawal rate of no more than 2.5% after investment expenses (which should be about 0.25% on total portfolio value). That’s about 0.5% more bullish than the article suggests. – Spend just the dividends spun off (I really like that quote ‘A Southern gentleman never spends his capital’ – did they mean Southern Med :-)) which seems achievable by deliberate portfolio positioning. My latest work suggests that I’ll be ‘ok’ with a cash buffer of 3 times annual spending at FIRE, combined with a portfolio that has annual spending at 85% of the dividends spun off. Great article. And I agree that the US market still looks quite expensive, so US peeps shouldn’t get too excited about expected returns and what they can take out. For us, we will (should hopefully!) have good pensions in addition to the ‘screw working’ fund that we’re currently building up, so the 4% rule would actually not be too bad. However, I think 2.5 or 3% is what we’re probably going to take in the end. I also noticed you linked to the BBC article on robots replacing jobs… I seem to have come across that theme incessantly over the last few weeks, but I have no idea why! For me, the SWR is the dividend. Spending only the dividend will never lead to selling the stocks. What’s wrong with that? The only problem I see is related to having more capital, as the current dividend yield is like 2%, so I need 50x my years’ spending, but I’m 27 now, so I’ve got time to grow this stash. Is the US stock market really more expensive than the UK stock market? Or does it just look that way because of all the UK-listed resource stocks whose PEs haven’t caught up with their still falling earnings yet, and all the highly-valued tech and biotech stocks listed in the US? Buy, hold, rebalance. Stocks got cheaper, so it’s time for some shopping. Very poignant and potentially worrying figures for those of us brought up on the 4% rule. I’m certainly guilty of towing the line and accepting the SWR as a given without perhaps paying as much attention to the bits and pieces that make up the model as I should. It’s an easy sell when you’re dealing with a world of uncertaincies, where stocks rise and fall and people have huge sums of money riding on a particular outcome. People love a good rule with set parameters and we like to think if we follow those rules everything will work out as expected. Perhaps that’s at least part of the reason why people are so eager to swallow the kool-aid and latch onto a “guarantee” like the 4% rule, however flawed it may be. There is no good reason that I can see to just live off dividends (and I assume interest). Companies return cash to shareholders in other ways than just dividends. A simple example is by buying back their own shares. This happens a great deal more in the US than in the UK, which is one of the reasons the US dividend yield is lower than that of the UK. If you simply hold onto the shares of a company that is doing buy backs, your real ownership share goes up, assuming they are not handing masses of out share options to executives of course. To convert the cash returned in a buy back to an equivalent “dividend”, you sell shares. For me, the SWR is the dividend. Spending only the dividend will never lead to selling the stocks. What’s wrong with that? The only problem I see is related to having more capital. Well, only that as you say you need far more capital. Ignoring inflation for simplicity, if you retired at 65, you needed £20,000 a year, and you knew you’d live until your 85th birthday, then spend your capital and you need at most £400,000 — assuming no investing returns (£20k*20 years). In reality even cash/bonds would give you a couple of percent a year in reality, so without bothering to do the maths you’d need far less than that — perhaps as little as £300,000 depending on rates. In contrast with dividends at say 3% you’d need at least £750,000 (remember you’re not spending your capital), although on the bright side you’d hope to keep getting richer as your shares/dividend would potentially increase over time. None of the above is sufficiently detailed or the right way to do sensible retirement planning — I’m just showing the ‘in your head’ maths. ‘Living on the dividends’ is not equivalent to ‘not spending the capital’. At one extreme, a company could pay a dividend funded by selling productive assets — if you spend this, you are spending your capital. At the other extreme, a company could pay no dividends, but reinvest its earnings such that its future earnings will be greater. If you sell some shares such that the earnings attributable to your shareholding remain the same (in real terms), then you aren’t spending your capital — well, you are spending the extra capital the company bought using your share of its profits. I think the 4% “rule” is a great way for total novices to get their heads around the concept of investing and saving towards their financial freedom. It gives them a starting point. However, as time progresses (10 years-plus for people starting at the beginning) they will tailor their own safe withdrawal rate to suit their requirements/personalities. I’d hope that no one blindly follows just one financial guideline and stakes their future on it. Another really good post to give us all something to think about. I’m inclined to agree that this should give us pause to thought before simply writing off annuities as a bad deal. I suppose the attraction of a SWR, despite the fact that any such rate must lie somewhere between a rough guess and a spurious statistic, is that it gives us a feeling of certainty about something that is anything but! It must be a bit of a bummer to spend the first half (or more) of your adult life being as tight as a gnat’s chuff striving to save for a comfortable retirement, only to realise that you are (or have become) unable to enjoy it because you have taken frugality too far. A bit like saving all of the king prawns for the end of the meal, only to discover that you are allergic to shellfish! @Tim G — There’s no doubt money is weird stuff. Having it changes how you think about it. I think this is a valuable insight from Jim. @NaeClue — Well, we’ve discussed this elsewhere/before, I think on a Greybeard post? Living off dividends has a long history that has worked well for many and I believe there’s more than pure numbers/theory in play; for others (including my co-blogger) it’s willfully un-mathematical nonsense. Pays your money etc. 😉 I agree this is a bad time to get besotted with the idea, though I disagree that it’s never been more popular — I’d say the popularity peaked back in early 2014. Both dividend payers and income trusts have calmed down/sold off a bit since then. @Fibrarian — Glad you found it useful. @Owl (again!) — Well, if we’re going to get involved in active speculation, I actually think resource stocks are near the bottom. For instance look at the Value Perspective post I link to above — on a 20-year smoothed earnings basis the mining sector is touching a multi-decade low P/E. In contrast there’s tonnes of expensive growth/tech stuff in the US. Still, people have been calling it more expensive for 2-3 years and until this year it kept on performing. Valuation is a terrible timing tool! @M — Yes, I need to write about the robots, too. One reason for the greater popularity of this meme at present is there was a recent declaration/conference where a number of prominent smart tech guys signed up to a message of caution. Another reason is that in my opinion it’s possible to see we’re closer to the end of the beginning of the first phase of this potential threat than even five years ago. My UK HYP of 17 shares is currently yielding a trailing 5.4%. Whether it stays that way in the coming months/years is of course another question altogether. Nice article and well thought as usual. one objection, I don’t like rule of the thumb for living from wealth, to be honest I don’t think it’s always possible (multi-millionaires and billionaires excluded ), it largely depends on being lucky. E.g. the numbers mentioned all assume an inflation environment similar to what we had the last 30 years. There is no way to forecast inflation, unlike perpetual nominal returns, and if something like the 1970s environment repeats in e.g. 20 years from now (impossible to predict today if it will or not), then almost any rule devised today will be null & void (real returns will be lower). 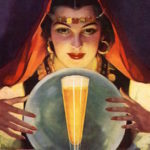 Even if one somewhat tilts towards inflation protection, a significant part of the portfolio will lose in real terms and the whole scenario is completely un-forecastable today (I’ll take lottery numbers predictions more seriously than predictions of inflation at a tenor 20 years from today). There are other potential scenarios that can happen in 10 or 20 or 30 years from today but are impossible to forecast and in all cases, knowing today’s nominal perpetual returns of a portfolio does not help unfortunately. An annuity makes even more sense for somebody with a smaller pot but it’s very hard for people to understand the protection. I fear the pension freedom changes will leave a lot of pensioners with a lot less income than they really need/expect, or running out of money in later years. I have twelve years experience of considering withdrawal rates having retired early (aged 40) in 2003. The sum total of my contribution to this debate is; “Each to their own”. We each have different circumstances and tolerances that makes the withdrawal rate right for us. This includes Wade Pfau. As a director of an Asset Management company he is more likely to be conservative about the withdrawal rate, he wants his clients to invest income and keep it under his firm’s management for as long as possible. This is not my cynicism, it’s sound business practice on his part. Equally, the excellent MMM who advocates a 4% target, would not have such a well read blog if he suddenly started writing that people needed twice the capital for FIRE. IMHO, knowing that the target SWR is between 2%-4% should be guidance enough, after that it’s down to personal circumstances. Pfau regularly debunks the 4% rule because it’s dangerous. It’s been regurgitated throughout the decades as ‘safe’ but shorn of the original authors’ caveats. i.e. 4% doesn’t take into account investment fees, taxes, longer or shorter retirement horizons, portfolios diversified beyond US stocks and bonds, altering asset allocations, and non-historical (or US) inflation and return assumptions. Quite the laundry list. The UK equivalent was 3.05% if you retired in 1900. It got up to 3.26% if you used an internationally diversified portfolio, although there’s no guarantee that will work out better than a domestic one. Against that is the fact that in many scenarios the safe withdrawal rate (SWR) led to your wealth increasing in retirement if you happened to retire in happier times. But the most important increase in withdrawal rates seems to occur (according to research by Pfau and many others) if you practise a dynamic withdrawal rate. i.e. as The Investor mentioned your withdrawals are flexible depending on portfolio performance. I’d have to properly check but the evidence points to increasing withdrawal rates by a percentage point or two using this method. Or methods, there are lots of different dynamic strategies and one day I’ll get around to writing about them. In reality, very few retirees blindly walk off a cliff withdrawing whatever the SWR said they could without noticing they’re running out of cash. i.e. virtually everyone practices some kind of dynamic withdrawal strategy (without formalising it as such) that keeps them solvent. Annuities can also bump up your withdrawal rate. They are not a bad deal and there’s a whole field of research devoted to why (at least in the US) people are shy of annuities when the evidence stacks up in favour of annuitisation. Why will I live off my capital? Because I’ll enjoy a higher standard of living that way and will be financially independent earlier. I’ll manage my finances along the way to make sure I don’t run out of cash. Thanks for the links this week, TI, the divi cover one is the number one reason that I am firmly in the camp which says total return is all that matters. (I love dividends as part of that for other reasons: management discipline, redistributive cash etc), and the trap of yield-chasing is firmly set for those who examine income alone. High yield bonds anyone? So that’s fine, but you have to have a feel for total distribution if you measure total return. And gee, there’s nothing to make you feel half as wealthy as someone telling you that the distribution rate is half what you thought it was. SWR is a good concept as we want broadly steady lifestyles regardless of performance (I think around 10% of expenditure can go on “bonus” income without addiction setting in). So does the flexible withdrawal rate really fulfil this need? Unlike others, I think the State Pension will be hard to get rid of, and even hard to subject to sensible means-testing as there are just too many voters who would be affected. So there is already a base annuity in place (and State guaranteed, unlike the possibly-soon-to-be-bankrupt private DB schemes). So is it 4%? Is it 4% of the worst year in the first 10? 2%? And die a multi-millionaire in 97% of scenarios? You can’t take it with you…(or leave it behind if TI gets his way). 4% nominal? Clearly an area that will develop over the coming rounds of research. I welcome it. This a great topic that is discussed at length in the US and not enough in the UK. The ‘consensus’ in the US after words of wisdom particularly from Bengen, Bernstein, Milevsky and Pfau (he is truly independent), is to separate living expenses from discretionary and pleasure expenses. Aim to use GILTS and Annuities to cover the first set of expenses and Equities/Bonds to cover the other expenses. The SWR risk is less severe depending on how important these other expenses turn out to be in the event of a major market ‘glitch’. Always try to factor into your retirement plan though, the more or less certain fact that your ability to manage your finances will begin to decline as you age further. You will quite possibly reach the point where you are not able to exercise the same level of “day to day” monitoring and control as you currently do. If I’m allowed to mention it here (? ), a formal power of attorney arrangement is certainly something you should seriously consider having in place once you are in the retirement phase, with the chosen attorney being sufficiently able and well-briefed about your situation. It’s an interesting topic, but in reality I think most people just have a mixed approach, assuming they don’t have an annuity or some other locked-in system. Personally I plan to live off dividends alone, but who knows – I might decide to sell some shares to boost my income, or get a job as a part-time bus driver. I prefer a degree of uncertainty in my future rather than having it all pre-planned and written in stone. My problem with dividend income is the following: If a market is relative overvalued it pays low dividends (now S&P or MSCI USA 2%) but when it is relative undervalued it pays high (now MSCI Australia Index 5%). When a market is undervalued You should withdraw less and when is overvalued more. In contrast to the Buy Low, Sell High Strategy . Indeed. Certainty can be pretty expensive. How large a pot do you need to ‘guarantee’ an average income after retirement and, just as importantly, how hard will it be for you to accumulate it – extra hours worked, little pleasures foregone, family life overshadowed by a suffocating obsession with money etc.? If the notion of a fixed SWR is an illusion, what is the best response? Redouble your efforts in a desperate bid to accumulate enough capital to live on dividends alone (or at least get by on a lower SWR of 2%), commit to a dynamic strategy (that could misfire and anyway relies on you remaining compos mentis or identifying a capable and reliable attorney) or just shrug and hope that a combination of state pension, a best-buy annuity and a sensibly invested remaining pot of equity and bonds will carry you through. Each to their own, but I think most people will be better off (by which I mean happier, not richer) if they learn to accept some of the uncertainty and live in the present. Let’s say that this overvalued market is at level 1000 and undervalued is at 400. 2% dividend from 1000 is 20 and 5% from 400 is also 20, so the dividend you receive is the same. I still think that the 4% rule of thumb is useful as a guideline. Taking the natural income yield from a portfolio of 4 to 10 investment trusts can give, at recently reduced prices, an income of between 3.7% and 4.5%. Dividend increases should at lease match normal inflation. These trusts have been around for up to 100+ years and many have increased or at least maintained the dividend for 30 or 40 years. Other safety measures could include keeping two years spending available in a cash reserve, only spending 85% of the income so some can be re-invested, and further flexing the spending down at times. I see the main dangers as higher than normal inflation and tax or other political changes. Same is true of frugality savings. A coke a day keeps the millions at bay. The 4% rule is an interesting starting point, based on historical data. And really useful to get an idea of the size of the pot needed. I’d like to see a dynamic stochastic exercise done, that allows for reasonable actions of the retiree. A fixed withdrawal rate is only nice for a modelling exercise as it is a simple approximation. Problem is… stochastic modelling is long winded, intensive and complicated. We use it in the actuarial world but they can take months to produce results. And it’s not without its flaws. Not something many people will be able to do given the knowledge and software needed. But hopefully something companies or universities will allocate resource to in the future. Thanks for the link to my article :). Well chuffed. Wade Pfau goes further in other articles, by being in a select group who think beyond strategic (constant ratio) allocations in retirement, due to the sequence of return risk (a particular problem for the total returner); to evaluate dynamic (variable ratio) allocations for retirement. Owl wondered above about US v UK valuations with which I concur. It is looking at PE10 (CAPE) and q that makes US look so much more expensive! However the UK yield today is difficult to justify in terms of earnings cover. @MrZombie I can see why having a rule of thumb is helpful, but it does seem that 4% isn’t the right value to use for this. Using 4% doesn’t give a useful idea of the size of pot needed if the real rate is more like 2-2.5%. Lots of talk here about the risk of following the 4% rule, no mention of the risks of working for far longer than required just to feel safer at 2.5%. Not much mention either of Pfau’s suggestion of 1% mng fees, are you prepared to live off 2% and give 1% to your “advisor” , not heard of Vanguard in the UK? Flexibility is the key – obviously in down markets a bit of a pull back in spending is required. There’s more than one way to skin an egg. Buy a house with an annexe or the space to build one. If you live in an area with more jobs than housing you will be guaranteed an inflation linked income in perpetuity of perhaps one third of the average local wage. If you have to pay to construct the extension then your “dividend” is likely to be at least 15% of the build cost and will increase annually. The future cashflow will be mostly tax free under Rent-a-room and unlikely to be subject to rent controls, if they ever happen. You might get hit by council tax re-banding, if that happens, but at least by giving up part of your home you won’t be considered an evil pensioner selfishly occupying a house that hardworking families have more right to live in. If the rest of your retirement planning goes wrong you can always move into the annexe yourself and rent the rest of your house out instead! Of the two the risk of planning for 4% when anything above 2.5% isn’t sustainable is considerably larger. Plan for 4% on the basis of expecting a 40 year retirement, and if you realised 10 years in that your fund isn’t performing at that level and you’d need to cut back to 2% (half your planned expenditure) to make the remaining money last the 30 years. Unless your 4% budget was ridiculously cautious (undermining your point about delaying retirement) then having to live on half of it would be a massive sacrifice. Terry Smith on perils of yield stocks. Is it wrong to be investing with only a loose plan? I started investing 18 months ago just before my 31st Birthday. My portfolio is made up of passive funds and is globally diverse but with only 10% in bonds. But I don’t have an exit plan, I just thought it better to get on with it than to nail down the fine detail. I currently save almost all I can, so what next? When do I need to start considering SWR seriously? I have made some calculations, but with my time frame are they really relevant, who knows what will change in the future, kids, house, unemployment (I’m currently a contractor). Is this something I should be looking at when I’m 56 and on reviewing my portfolio asking myself; at a SWR of X% can I retire next year or do I need to put a few more years in? If I am currently aimlessly saving all I can does it really matter to me now? By the way, I really appreciate the Monevator website, it is a fantastic resource and I wait eagerly each week for your next article. Thank you. Ok lets go with 2.5%, then accounting for Pfau’s 1%fees -and cut that to .5% ( still expensive ) – already we are back to 3% :). I did mention that you cut back in years where performance is shaky ( applying any type of variable withdrawal increases the success rate considerably ) – its likely that anyone who mindlessly spends for 10 years then realizes they have to cut spending in half has ever heard of the 4% rule anyway and they can not be accounted for. Also is Pfau not guilty of recency bias on his assumption that the current low rates are to continue long term, I would think any projections into the future that are based on a 100+ years of data as opposed to a recent 10 should hold more sway ?. Finally I think you are underestimating the cost of working longer , maybe not on your retirement account ( or the “advisor’s” fees ) but on your health and happiness. If you remove the word “investing” at the beginning, it helps to give you a bit of perspective. On that basis, you can’t destroy the risk of not having enough money to live comfortably in retirement (which is what all this fretting about the SWR really is); you can only transform it into another risk. So it’s definitely worth thinking about the different risks involved before simply advocating a “prudent” approach – you may just be transforming a low risk of unhappiness in the future into a high risk of unhappiness in the present! I think it’s also worth questioning what our starting assumptions are. It’s a commonplace of retirement planning that you start by working out how much money you need and then plot a chart to get there, but maybe this is the wrong approach. Perhaps we need to begin by accepting a bit of uncertainty (risk, even) from the outset. I’m 20 years from the current state retirement age. I don’t know what my annual income will be in 10 years time, so why on earth should I expect to know what it will be in 20 years time? And why should I care so much more about the latter than the former? All I can do is give myself a fighting chance of not being poor and perhaps even an outside chance of being relatively well off. In the meantime, I’ll carry on being nice to my kids so that if the worst comes to the worst they will take in their ageing, impoverished parent! There are some things money can’t buy. I liked the 4% rule as it allowed me to plan for the future with a mix of both growth and dividend paying equities. To read its now a ‘2% rule’ is a disaster! If its true it means, to get the UK mean salary, a pretty average existence, you will need a portfolio of about a million GBP. All of these calculations are just educated guesses, at any point in time there is no knowledge of what comes next. We are bound by recency, what happens now is projected into the future, even if only subliminally in framing the parameters, the one thing we know for certain is that the future will not be like today. The reality is that a set withdrawal rate is simplistic and patently nonsense. Even the most unsophisticated investor/pensioner will realise after a string of bad results that some restraint might be needed. The danger is that a 4% “rule” achieves a false sense of legitimacy when it provides a starting point for discussion. An individual who has limited resources will naturally be cautious , a wealthier pensioner may divide the “pot” into two components, a needs pot that might be more cautiously invested and a wants pot that can be higher risk. Next is the pattern of spending, in the early stages of retirement most will do more and spending will likely dip substantially until end of life when expenses may rear up horrendously but not for long……. Some of these calculations assume that one lives for ever and leaves the children an enormous pension pot. Rather wasted in my view. 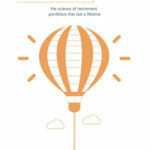 Retirement plans on both investing and spending will evolve. The ideal withdrawal rate in retirement touches no principal. I’ve written about it, and it’s built up a pretty decent following so far.